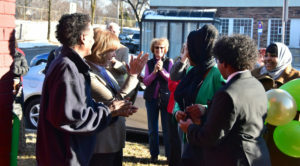 Farhio House is named after the agencies founder and Farhio Khalif and works to provide culturally specific shelter services to East African and Immigrant women and their children. Farhio House strives to provide those we serve with a place they can be safe from the abuse they have experienced, work on their health and healing and achieve self-sufficiency and success in whatever they choose for their own lives. Farhio House follows the empowerment model of advocacy in all that we do making sure to always remember that victims and survivors are the leaders of their own decisions. All advocates at Farhio House are intentionally trained in culturally specific advocacy practices. We understand the unique challenges that East African and Immigrant women face daily and how those challenges intersect with the effects of domestic abuse on our clients and their children.Understanding intersectionality is essential for effective advocacy with the population that we serve and we strive to be leaders in this area. 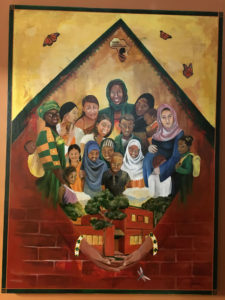 Farhio House is proud of our advocates capacity to appropriately serve a culturally unique community. Our advocate staff is fluent in many of the languages that our service population may speak which include Somali and Swahili. Farhio House services include; emergency safe shelter, legal advocacy, housing advocacy, resource advocacy, training and education and transportation services. We also have a 24-hour crisis line which is staffed and maintained by our trained advocates.